You know content marketing works, so you've been plugging away at blog posts, ebooks, and other valuable, educational content for your potential customers. And people come -- they find your content in search results and in their social media feeds. But they may not fill out a form and become a lead right then and there. It's not always because they're not interested in your message -- so how do you recapture those viewers who left your site? Recapturing audience attention to turn lookers into leads is an effective marketing tactic, and if you're not doing it, you're leaving money on the table. What the Heck is Content Remarketing? 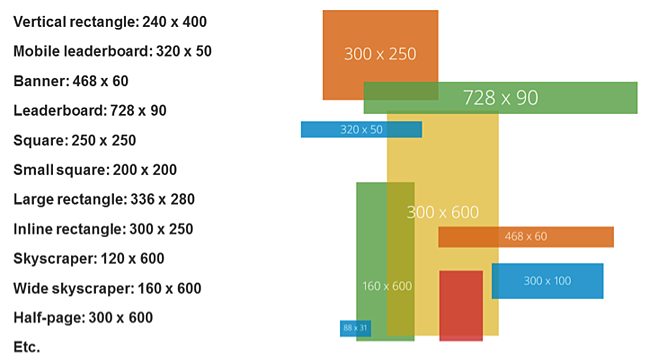 What's So Awesome About the Google Display Network? 1) What the Heck Is Content Remarketing? At its core, remarketing is the process of tagging your site visitors and targeting them with content after they leave your site, in an effort to reengage them and bring them back to your site. Remarketing gives you the opportunity to appear in front of people who have already expressed an interest in your website. They could be checking their email, reading the news, watching a YouTube video … and there you are, with something new and awesome to show them. It could be a reminder to complete an action they had started, or a new piece of content to further a buying decision, and so on. According to Forrester Research, 96% of people who visit a website leave without completing the action the marketer would have liked them to take. 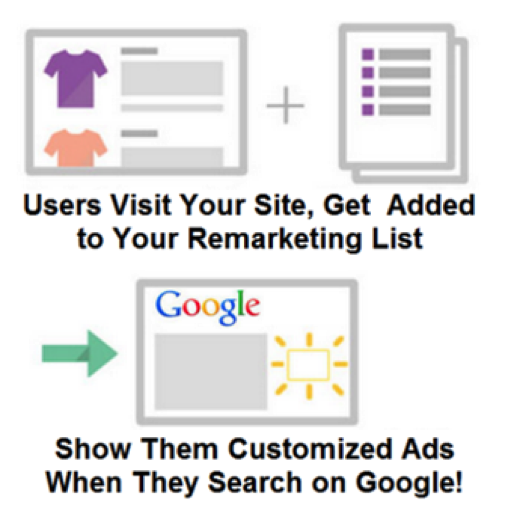 Remarketing gives you a second chance to make that first impression (and even a third, and a fourth). We can't afford to be forgettable -- we have to make our content more sticky. Alright, so we understand both the problem and the opportunity. Now, let's dive into the solution. You're going to learn how to use remarketing strategies with the Google Display Network to dramatically increase the effectiveness of your inbound marketing efforts. 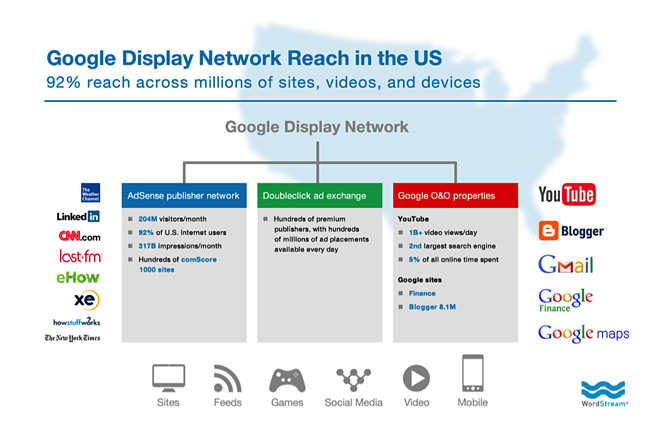 2) What's So Awesome About the Google Display Network (GDN)? 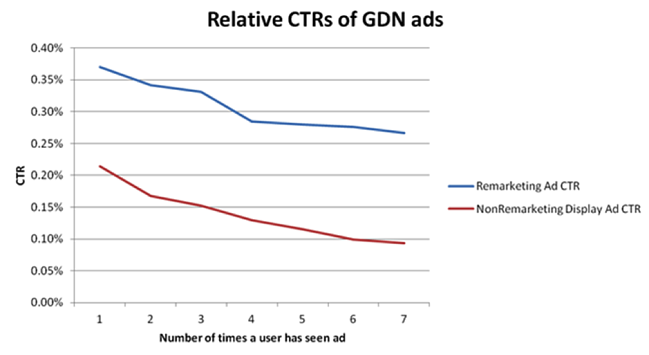 The GDN is one of the largest remarketing networks in the world and has over two million sites in the network, including pretty much every site in the world (with the notable exception of Facebook). It also includes some pretty big Google sites, like YouTube and Gmail. The inclusion of AdMob for mobile targeting means you can get your ads to show up in Angry Birds (I know, cool, eh?) and other mobile apps. 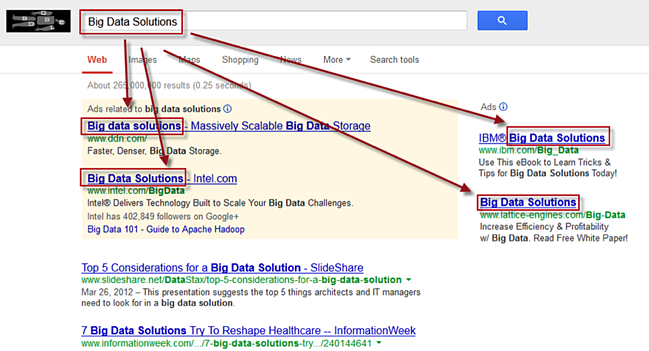 Like I said earlier, using the GDN for remarketing gives you a great deal of reach. Generally, you can find your tagged site visitors on the network many times per day, several days per week, and across many different sites. On average, you'll be able to connect with 84% of the people you tag, 10-18 times per month. One of your first steps in remarketing is to define the specific audience(s) you want to remarket to. For example, you could create an audience for people who visited your blog, or for people who visited specific pages on your website, like your pricing page. This will enable you to reach out to just those people with offers and messaging to suit their interests. To define an audience, create a new remarketing list in Google AdWords. Google will take care of setting all of the cookies; all you need to do is specify which website visitors to include or exclude from your audience. Segmenting different lists of users enables you to show different ads, depending on which section of your site they visited. A secondary benefit is that you can bid more aggressively to get more impressions and higher ad positions, and to get visitors to the higher value sections of your website. For example, your data might show that visitors to your pricing or product page are more valuable than your blog visitors. Another creative remarketing strategy for content marketers is to define audience categories in Google AdWords based on the different post categories in your blog. If you already have a ton of blog content that is classified by topic, leverage those existing classifications in your remarketing audience definition strategy. 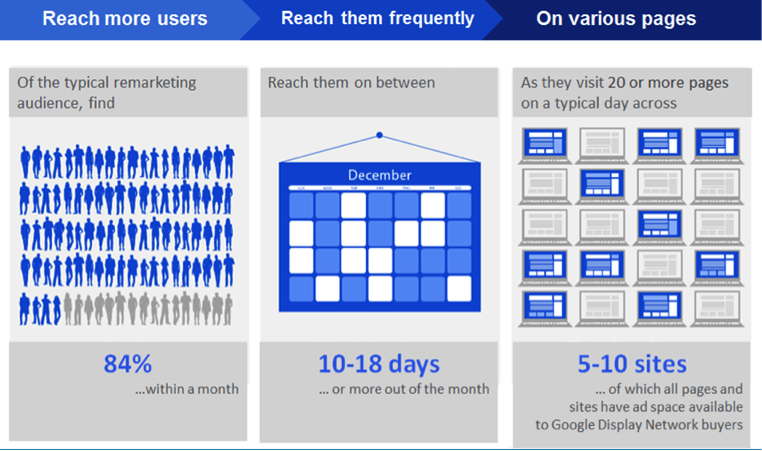 In remarketing, the audience membership duration is the number of days that you follow a user around with your ads. For example, if I set my audience membership duration to 60 days, then users who visit my site will see my ads for 60 days. You can test and tweak this number to see what's right for your audience. Now, I'd like to address a concern I've heard from some fellow marketers: that overly aggressive remarketing will make your prospective customer feel uncomfortable. 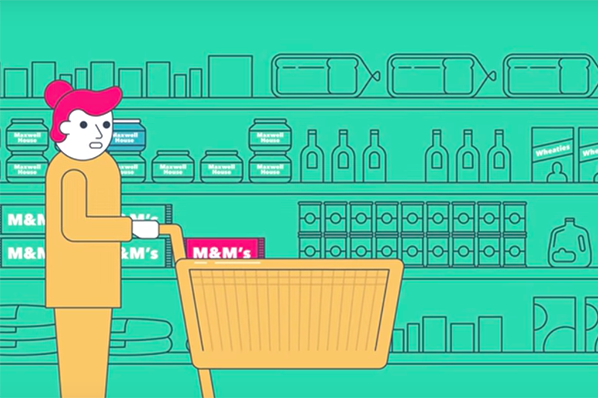 Let's look at a few facts and see just how "creepy" remarketing really is. We found that the clickthrough rate of remarketing ads is much higher to begin with, and it stays higher even as ad fatigue begins to set in. What this means is: A user is still far more likely to engage with a remarketing ad, even after having seen it six times before, than they are with a brand new generic display ad. 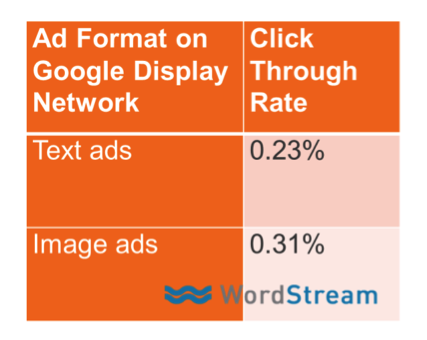 What we see here is that, while remarketing ads certainly did fatigue over time, remarketing ads fatigued at less than half the rate of generic display ads. 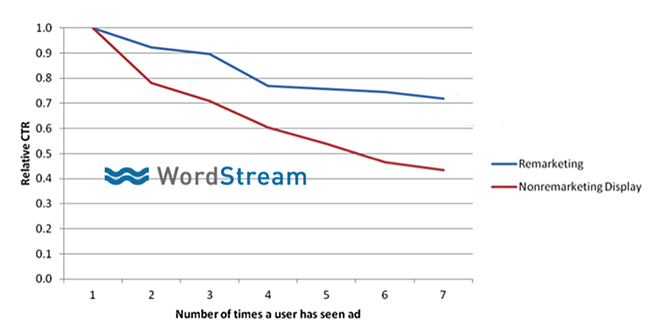 The chart above shows that, although a user becomes somewhat less likely to click on a remarketing ad over time, those who do click are more than twice as likely to convert. The data just doesn't prove out the theory that people find remarketing creepy and therefore marketers shouldn’t use it -- or should limit it to such short lengths it can't be optimally effective. Try setting your audience membership duration to an amount equal to 3x your average sale cycle length. Now that we’ve talked about defining an audience to remarket to, let's focus on how to create killer remarketing ads. 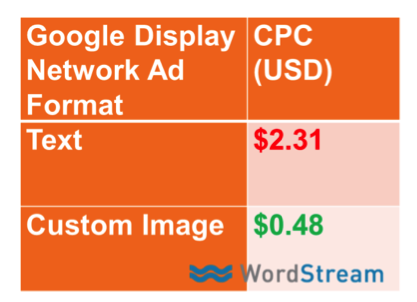 There are 14 different display ad formats on the Google Display Network, shown below. The lesson here? Diversify your ad formats. 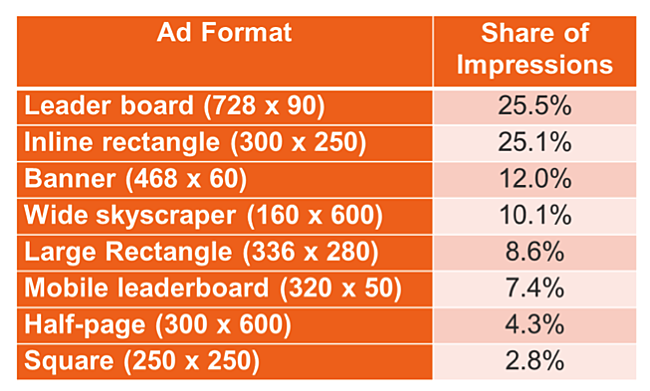 This table shows the share of impressions accrued by the various different ad formats on the internet. 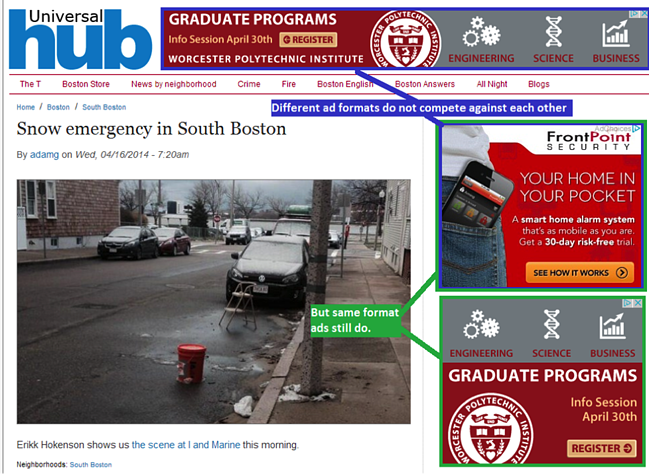 Diversifying your ad formats maximizes your chances of ad placement in better positions. The key here is to create ads that resonate with users on an emotional level. Stay away from boring, plain, informational ads that look the same as every other ad out there. Instead, diversify your ad formats, and create ads that appeal to your audience on an emotional level. Google doesn’t make money by showing ads no one clicks on, so it makes sense for them to show ads that are more likely to get clicks. They use an algorithm called Quality Score to determine which ads to show, what position each will display in, and how much to charge the advertiser for each ad click. To provide an incentive for advertisers to create great ads, they give out huge discounts for ads with high clickthrough rates … and dish out huge penalties for ads with low clickthrough rates. For this reason, for every 0.1% increase or decrease in the CTRs of your ads, your click costs will go up or down by 21%. This all sounds good in theory, but how do you create an ad with high clickthrough rate? It’s like you're paying a 381% tax on text ads! The key takeaway here is to take the time to design beautiful, helpful, customized image ads, rather than simply converting your text-based search ads into image ads. Of course it has a cute puppy. How could it not? Make people love your ads, not dread them. 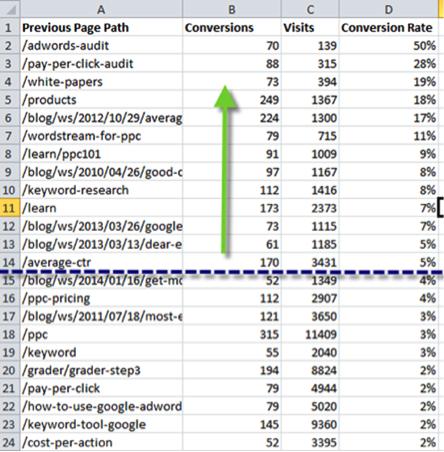 2) Do a conversion path analysis. The goal here is to figure out which pages on your site, if visited during a user’s session, result in a much higher probability of the user converting to a lead or a sale. For example, the highest converting page on your site could be your product overview page. 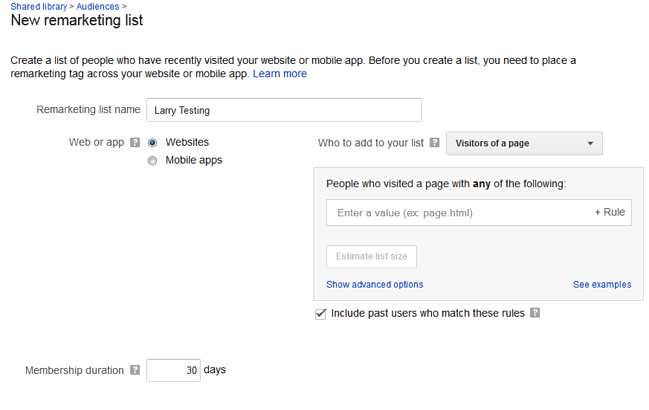 Come up with a list like this one and target those pages in your remarketing audience. 3) Send people to your best content. 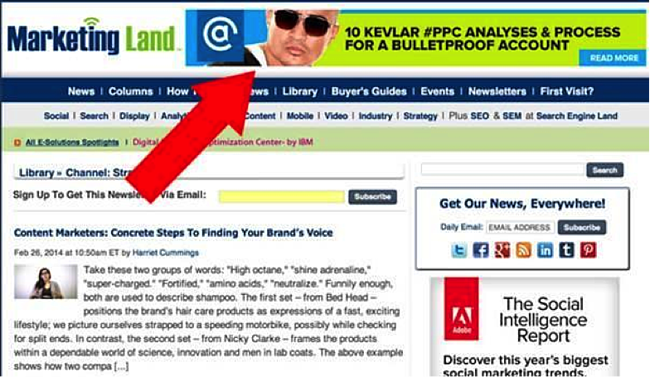 Check out this ad from my colleague Marty Weintraub at AimClear, which sends anyone who clicks to his PPC analyses. But how do you know what content to feature in your ads? 4) Analyze social shares on your blog content. If you analyze your blog content, what you’ll usually find is that around 5% of your pages generate half of the shares on social media. For example, I analyzed all of the articles on one business blog over the last year and found that on average, a typical article gets several hundred shares on social media. However, the top 5% of articles gets tens of thousands of social shares. Not surprisingly, we found that the same stories that work well on social media also tend to do very well as featured content within ads. 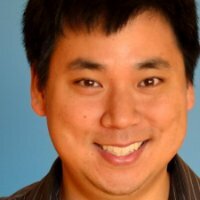 Content marketers are uniquely qualified to become fabulous PPC marketers. Why? 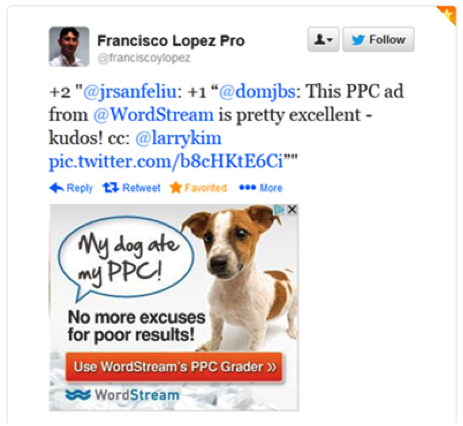 Because so much of the success and failure of PPC marketing relies on the creativity of your ads. Content marketers, on the other hand, tend to have a few creative bones in their bodies. I call this an AdWords Jackpot because it reminds me of hitting a row of lucky 7s in Vegas -- I just hit a Big Data Solutions jackpot! If you can come up with an emotionally charged, totally different and stand-out ad, you can blow away the competition. Now that you have remarketing audiences and ads down to a science, let's turn our attention to bid management strategies. Remember, in PPC marketing, you have to pay for each click. The advertiser specifies a maximum cost per click that they’re willing to pay, but the key here is not to buy every possible click. Rather, you want to be super picky and just cherry-pick the clicks that are the most relevant to your business. The way to do this is through bid management. It doesn’t make any sense to remarket ads to everyone in your audience. Why? Because not everyone who visits your website is a qualified buyer. In AdWords, you can overlay user demographic information on top of your remarketing audiences to find the needles in the haystack. For example, someone from Zimbabwe could visit your site -- but they can't convert if you can't ship there. Here’s when it comes in handy to know a thing or two about your target customer persona. What are the ages? Parental status? Where do they live? Gender? What time do they search for your products? What is their income? You can be very picky, and just bid for the people in your audience who also meet your demographic filters. We discussed standardized image ad formats, but there are some really cool advanced ad formats that are worth mentioning, too. The human race spends billions of hours every month watching YouTube ads. You may have your own YouTube content, but perhaps your viewing metrics aren’t quite as high as you’d like them to be, or perhaps your users have no idea you have interesting video content to share. Using YouTube TrueView ads, you can target your audiences as they are watching other videos on YouTube. Take the screenshot below, for example. 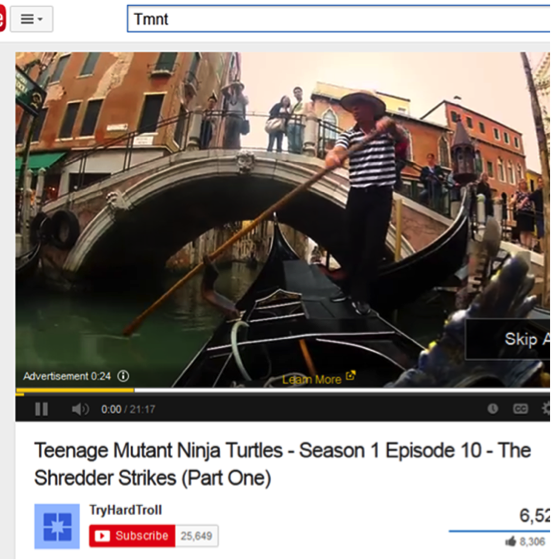 I’m trying to watch a Teenage Mutant Ninja Turtle video and it’s showing me an ad for a tourism company in Italy. Why? Because I was planning a trip to Florence at the time I took this screenshot, and they’re remarketing to me. The cool thing about TrueView videos is that you only pay if people view your video content. There’s no cost if the person clicks on the “skip ad” button. If you’re creating video content, why wouldn’t you pay a few bucks to promote it? Another relatively new ad format is the +Post ad on Google+. Now, Google's social network isn’t as popular as Twitter or Facebook, so what they did was they came up with an ad format that lets you promote your Google+ content to visitors – even if they’re not on Google+. Last month, I tried the new +post ads for my own website to target people who visited my blog. There’s an ad creation feature that automatically creates ads in all of the different ad formats to promote your latest Google+ post (Facebook has a similar feature). 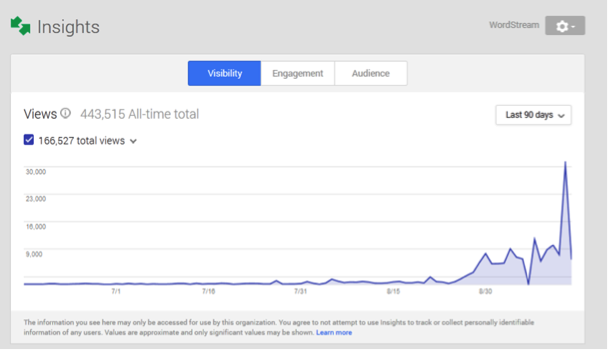 Visibility and engagement on Google+ went through the roof by 10-20 times, for just $25/day! How the heck does that work? 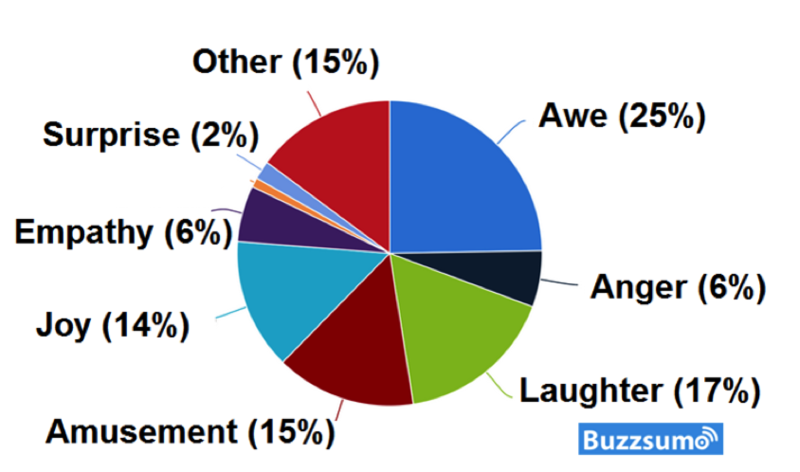 We can thank the flywheel effect of paid social promotion. There are billions of social updates happening every day on social media -- it's very noisy. Buying the first few Likes or +1’s or retweets using paid social promotion then raises the visibility of your updates. It results in massive organic social engagement. Sometimes you just need a little push to get things started! Here’s another interesting but advanced thing you can do. It’s a little complicated, but I promise it's awesome. It’s called Remarking Lists for Search Ads. RLSA lets you target people in your audiences with customized ads when they perform searches for specific keywords on Google. Say, for example, someone visits your site. You tag them and now they’re in one of your audiences. That person then searches for a competitor of yours. This probably means they’re doing some comparison shopping. Using RLSA, you can target that comparison shopper with a specific ad, like a 10% discount code or something similar. Knowing that the person visited specific pages on your site and is now performing specific searches, it’s possible to come up with very specific and compelling ad copy. You've done your research, you know your topic, you have something interesting and entertaining to say -- but sometimes you need that extra push. As individuals and brands have become publishers, the game has been upped big time. Competition is fierce. With remarketing, we at WordStream increased our repeat visitors by 50%, tripled our average time on site, and saw a huge increase in direct visits to our site. In short, content remarketing enabled us to maximize the value of every piece of content we put out. We were able to get each piece in front of the audience with the most intent, at the right time, and via the right channels.